Charity is its own reward, but there are also plenty of incentives on offer to encourage your altruistic tendencies. Giving money to charity is tax deductible. This means it is taken from your gross pay, so you can reduce the overall sum on which you pay tax. Donations like this can be automatically taken from your payslip or personal pension through the government's Payroll Giving scheme. If you're a freelancer, independent trader or run your own business, you just need to make a note of the charity's HMRC charity reference number and declare the donation on your tax return. If you don't donate directly via Payroll Giving, and you're not a freelancer, you have already paid tax on any donation you've made. Gift Aid lets a charity reclaim that tax from the government. If you're a higher rate tax payer, the charity will still only reclaim the basic 20% tax rate: so you are eligible to reclaim the difference through your Self Assessment or by asking HMRC to amend your tax code. It's also possible to leave charities a donation in your will. Just as normal donations are deducted from your gross pay for income tax purposes, any amount left in your will is deducted from your gross assets for inheritance tax purposes. You're liable for Capital Gains tax whenever you sell an asset (for example property, land or shares) at a profit. If you give an asset to charity, or sell it to a charity for less than market value, you get Capital Gains Tax relief equal to the value of that asset. 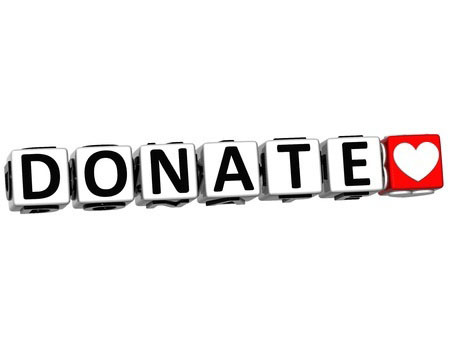 Remember, whichever type of tax incentive you take advantage of, you must keep records of your donations for at least 22 months from the end of the relevant tax year; or for five years and one month if you're running a business. To make record keeping easier, try our free budget planner, which lets you clearly label all of your income and expenses: so you won't forget about any of your donations when it's time to complete your tax return. Joining a membership or friendship scheme with charities like the National Trust, the Zoological Society of London and Historic Scotland, for example, is a great way to preserve local historical and cultural heritage. You'll also be able to enjoy that heritage yourself too, as they're all connected to a wide array of beautiful properties and exhibitions that are great for a day out. Charities put vast amounts of effort into organising fundraising events, and as well as being a great way to gather donations and increase awareness, they also help you achieve life goals and challenge yourself. A great example is Cancer Research UK, which does wonderful work behind the scenes of just about every major run in the UK (and plenty of other events besides) to ensure that anyone who wants to support them simply has to sign up. They do all the leg work. Except for the running of course. And you'll find most major charities are similarly supportive, whatever your crazy fundraising idea may be. Have you found any other great benefits on offer for supporting charities? Let us know in the comments field below.